Unscrupulous financial speculator Ferdinand Lopez, aspiring to marry into respectability and wealth, has society at his feet, with well-connected ladies vying with each other to exert influence on his behalf. Even Lady Glencora, the wife of Plantagenet Palliser, prime minister of England, supports the exotic imposter. 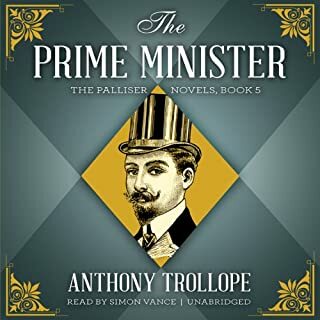 Palliser, respectable man of power and inherited wealth, is appalled by the rise of this man who seemingly appeared out of nowhere. What did you love best about The Prime Minister? This is a great story. Time period of Downtown Abby, not as complex, but still good. Hard times come to everyone. When they come, we can all use help. Fortunately there are skillful ways to illuminate our path and strengthen our heart's courage, clarity, dignity and compassion. 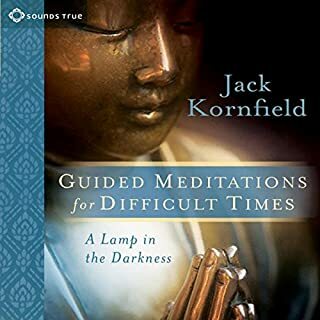 To help us navigate our own difficult time, trusted meditation teacher Jack Kornfield, known for his gift of transmitting meditation with his warmth, wisdom and precision, offers Guided Mediations for Difficult Times. Anything by Jack Karnfield is amazing!!! What made the experience of listening to Guided Meditations for Difficult Times the most enjoyable? Great meditations, not really great for the car driving experience, better for home and stillness, but still his words are so inspiring. Gary comes from a god/christen centered, which I am not christen, but I did enjoy his perspective. 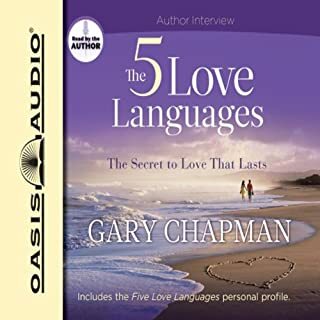 Interesting take on peoples love languages, makes you think, always a good sign, for me at least. 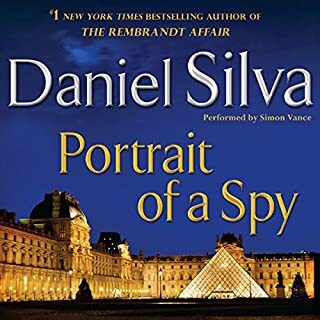 Haunted by his failure to stop a suicide bomber in London, Gabriel Allon is summoned to Washington and drawn into a confrontation with the new face of global terror. At the center of the threat is an American-born cleric in Yemen who was once a paid CIA asset. Good long book for a road trip. Would you listen to Portrait of a Spy again? Why? If you like "Homeland" from HBO/Showtime, you will like this book. It's complicated and the reader has excellent dialect. Kira, an orphan with a twisted leg, lives in a world where the weak are cast aside. She fears for her future until she is spared by the all-powerful Council of Guardians. Kira is a gifted weaver and is given a task that no other community member can do. While her talent keeps her alive and brings certain privileges, Kira soon realizes she is surrounded by many mysteries and secrets. No one must know of her plans to uncover the truth about her world and see what places exist beyond. 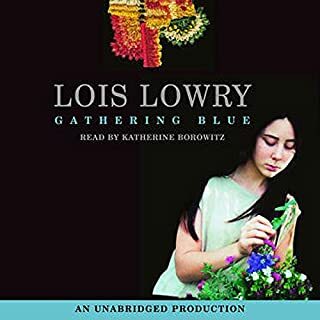 Where does Gathering Blue rank among all the audiobooks you’ve listened to so far? 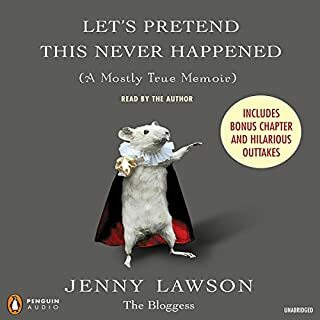 For fans of Tina Fey and David Sedaris - Internet star Jenny Lawson, aka The Bloggess, makes her literary debut. Jenny Lawson realized that the most mortifying moments of our lives - the ones we'd like to pretend never happened - are in fact the ones that define us. In Let's Pretend This Never Happened, Lawson takes readers on a hilarious journey recalling her bizarre upbringing in rural Texas, her devastatingly awkward high school years, and her relationship with her long-suffering husband, Victor. How the Bloggess almost made me crash my car! OMG! Do NOT drive your car while listening!! What made the experience of listening to Let's Pretend This Never Happened (A Mostly True Memoir) the most enjoyable? The performance of the narrator is fantastic and so is the story line. It's funny LOL, so much so tears were flowing and a tragic story, one that is all to familiar (well somewhat). I loved it so much, I bought copies for my friends and family. Thank you for your witty story and voice to tell this. Much appreciated. In this bold, bracing, and tremendously practical new work of spiritual psychology, author and medium Paul Selig takes the channeled teachings begun in his acclaimed I Am the Word into dramatic new territory. In this fresh revelation, the invisible teachers who speak through Selig actually instruct readers on how to develop their own powers of intuition, clairvoyance, and inner knowing. Excellent! I give it five stars hands down! Would you listen to The Book of Love and Creation again? Why? YES! YES! YES! This is exactly what I was searching for and somehow I found it or it found me! Teaching to be a better human being and reminding us, we are human, is refreshing in my opinion. 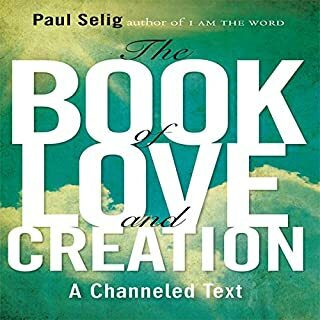 What other book might you compare The Book of Love and Creation to and why? There is no other book I could compare this one too, it's truly unique! This book is one of a kind and a first "channel" text I have ever listened too. I must admit, it may not be for all audiences. I listen to this in small segments, as it's very deep and profound. I find myself laughing at times and saying, yes, yes, yes, I get this. Word. What did you learn from The Book of Love and Creation that you would use in your daily life? This written word makes me think and wonder, so for this, I am thankful. I am more conscious of my actions, vibrations, and thankful on a daily basis. Paul does a great job at reading his book, he is funny, gives clear visuals and articulates nicely. I just wish his first book was on audible and looking forward to book 3. Because science has long taught us to rely on what we can see and touch, we often don't notice that our spirit, thoughts, emotions, and body are all made of energy - that everything is vibrating. As we move out of the age of technology and into the age of intuition, we need the tools to understand what it means to be a vibrational being and how our natural frequency affects us. 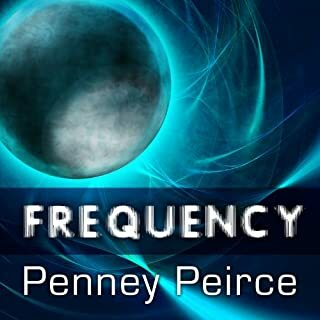 In Frequency, Penney Peirce shows you how to feel your personal vibration and work intentionally with energy to transform your life. Would you try another book from Penney Peirce and/or Laural Merlington? listen too. It sounds a bit robotic at times and the voice sounds a bit stiff. However, that being said, it's an excellent, well researched and written book. I think I will buy the book and give it a read. Insight into the spiritual healing profession of an urban Shaman. What is a Shaman? How do you become one? What functions do they perform within our modern Western world? These are some of the questions touched upon, as Shaman Gress introduces us to the ancient, but still vibrant, field of Shamanism. 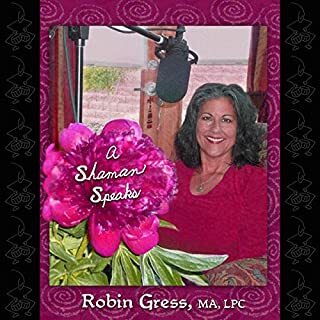 Where does A Shaman Speaks rank among all the audiobooks you’ve listened to so far? basic principals of Shaman practice. I found it helpful. What about Robin Gress’s performance did you like? 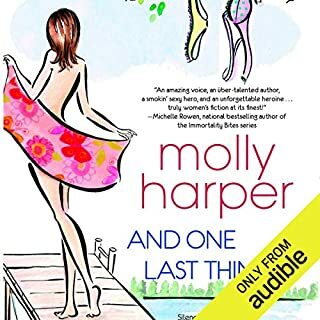 Would you listen to And One Last Thing... again? Why? A great "summer read" get lost in your book type of read (a.k.a.) listen.